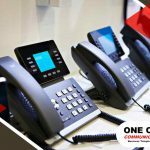 A phone system for your business is a must if you want to appear legitimate and professional to both clients and contacts. But with rising costs and finite capital, how do you acquire this essential part of your enterprise? 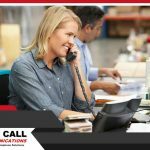 One Call Communications suggests that business owners make themselves aware of all the possible systems they can use. 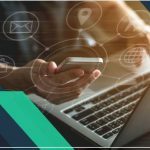 Thanks to new technology, such as Voice Over Internet Protocol (VoIP), business telephone systems aren’t as expensive or as complicated as they used to be. Arguably the most stable but the most expensive type of phone system, this is your traditional landline. Using copper wires, a telephone unit and existing phone lines waiting for users, you use actual wires to connect with other phones. This system can connect with fellow landlines, mobile phones, and any other phone that the supporting company allows. This type of telephone system uses the Internet instead of copper cables and landline units to function. You can use a landline phone with a special adaptor to connect to your computer or even a mobile phone that has access to wireless Internet. 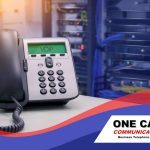 Using your Internet connection, you can call any landline, other VoIP systems, mobile phones, and any other type of phone system that the company you hired can support. This is a much cheaper option, but it cannot function without electricity or Internet connection. Both systems are capable of supporting a private branch exchange, allowing you to have branch phones with their own numbers attached to the main phone. If you would like to know more about which system is best for you, set up a free consultation with One Call Communications at (888) 323-0557.